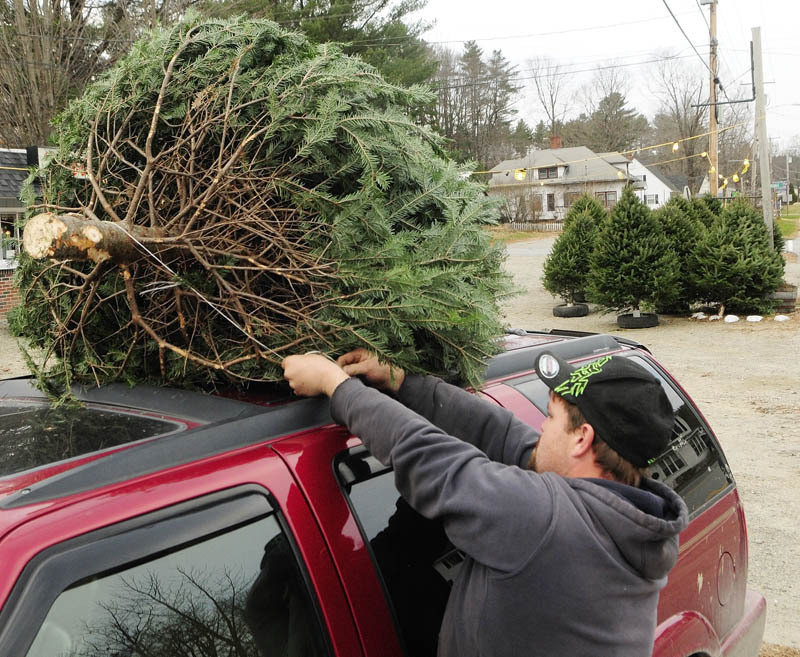 Tree seller Paul Peaslee ties a Christmas tree on top of a customer's vehicle on Tuesday afternoon in Farmingdale. Peaslee said he was part of a family business that had been selling trees in the Webber's Ice Cream parking lot for many years. Tree seller Paul Peaslee ties a Christmas tree on top of a customer’s vehicle on Tuesday afternoon in Farmingdale. Peaslee said he was part of a family business that had been selling trees in the Webber’s Ice Cream parking lot for many years.